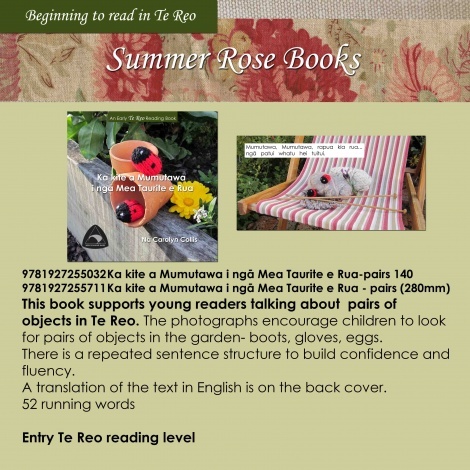 This book supports young readers talking about pairs of objects in Te Reo. The photographs encourage children to look for pairs of objects in the garden- boots, gloves, eggs. A translation of the text in English is on the back cover.